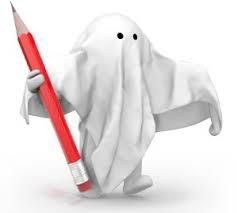 Here is a LINK to an excellent article by Attorney Will Sylianteng of the Doylestown office of WES Litigation that appeared in the February 17, 2015 edition of the Pennsylvania Law Weekly and is entitled "District Court Sanctions Attorney for Ghostwriting Expert Report." In reference to a case involving sanctions applied to an attorney in a Michigan federal court case, Attorney Sylianteng analyzes the pros and cons of the Pennsylvania court decisions in the case of Barrick v. Holy Spirit Hospital which limits discovery of communications between an attorney and a retain expert. In his article, Attorney Sylianteng notes that while some members of the bar favor the Barrick decision, others have denounced the ruling (I'm not alone!) as opening the door for "unscrupulous [attorneys] to mold, if not create, their own expert's opinions." If you are unable to access this interesting article via the link above please let me know and I will send you a copy. I note that I was the writer of the Pennsylvania Defense Institute's amicus briefs at the Superior Court level in Barrick. Click HERE to review my later May 6, 2014 Tort Talk article on the same topic entitled "A Sad Day for the Truth."